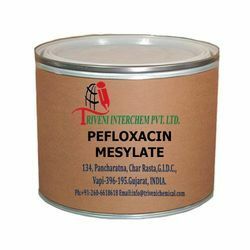 Our range of products include pefloxacin mesylate. Pefloxacin Mesylate Dihydrate (149676-40-4) is Powder. Storage: Keep container tightly closed. Keep container in a cool, well-ventilated area. Looking for Antibacterial Agents API ?